Here are two incredibley rare, incredibly beautiful, incredibley perfect 1980’s KT Les Paul replicas. These handcrafted masterpieces were built in Maryland by a team of Pre-PRS boutique luthiers Mike Koontz and John Thurston sometime in the early 1980’s. Over the years I’ve featured some iconic basses from my collection. Here is one that I wish I had. Hofner pioneerd the Violin Style Bass in the early 60’s, Similar in syle to the original Gibson EB bass in an earlier post of mine. Of course you and I, even my oldest daughter could recognize who played the Hofner bass. The Beatle bass featured here was in for repairs at CAMPBELL’S MUSIC SERVICE. I just couldn’t help snapping a few shots of it. We’ve all made mistakes. This feature is an early ’80’s Pink Gibson SG With 2 single coils, a humbucking pickup and a Kahler tremolo in shocking pink! Surprisingly, it’s a great feeling and sounding SG. Owned by one of my students. Great find ehh? Friend and student Ryan McGurk brought his newest guitar for me to checkout. As always, touch the pic to enlage each image. 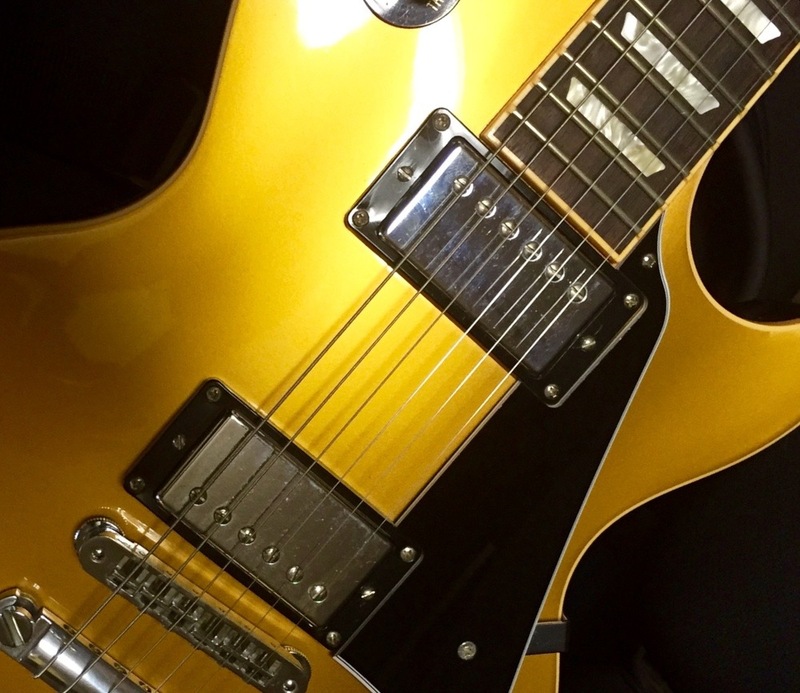 Faithfully re-created with Mini Humbuckers designed by Jim De Cola and Jeff “Skunk” Baxter. Electronics offer push/pull coil split on each volume and Orange drop capacitors with 15dB boost. Like other 2015 Les Paul models, the 2015 Les Paul Deluxe commemorates the visionary’s birth with a special 100 Les Paul headstock hologram. Other features include an asymmetrical, rounded C neck profile, adjustable zero-fret nut, plain maple top and removable pickguard. 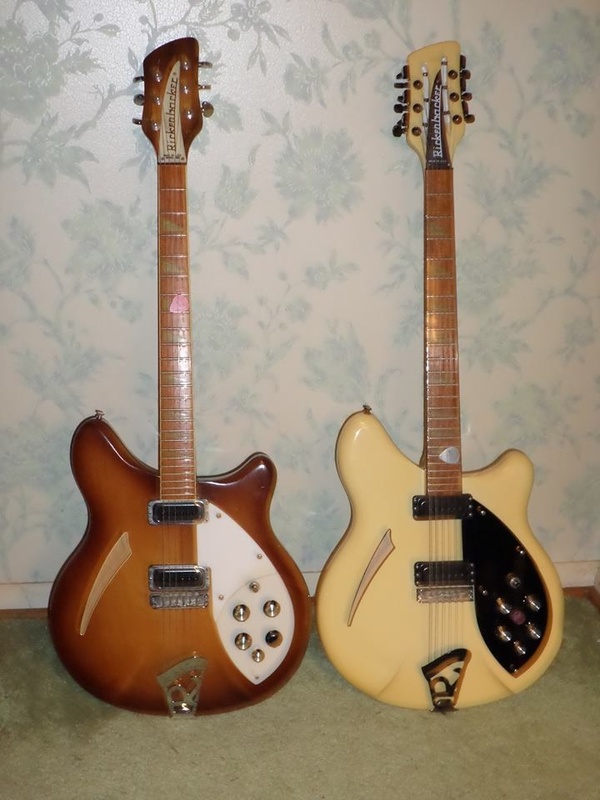 Friend and fellow musician, Craig N Wise revealed to me recently that he too, has a passion for Rickenbacker guitars. In fact, he owns two unusually colored 360’s. The white on black 360/12 string has faded nicely into a cream color. The combined black hardware really sets it off. It is from the very early 1990’s. The 360/6 string is Autumn Glow, one of only 50 made in 1982. Thanks Craig for the pics of your great guitars! Jeff Beck was Fender’s inspiration for one of my favorite guitar models, the Strat Plus. 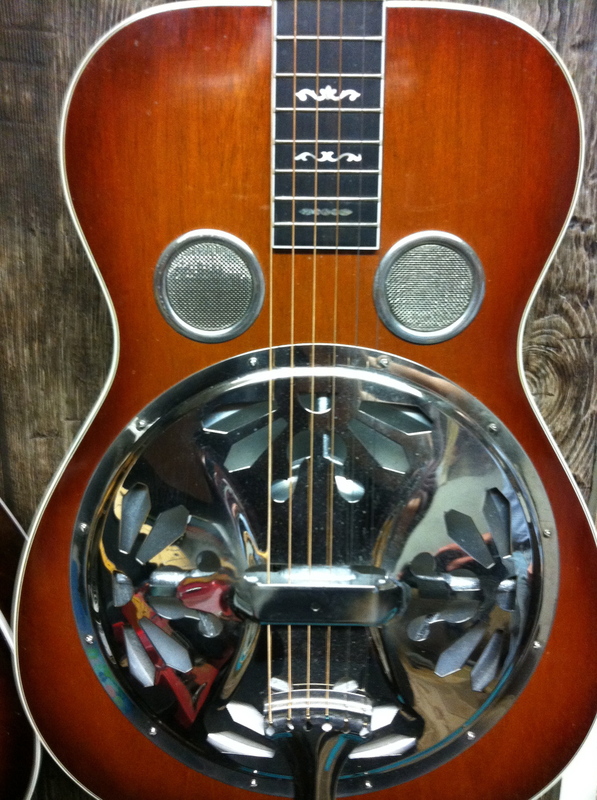 Original models featured Lace Sensor pickups, roller nut and DuPont racing colors! Pictured here, courtesy of Jerry Maislish (left) and Ryan McGurk (right), are two Surf Green models. 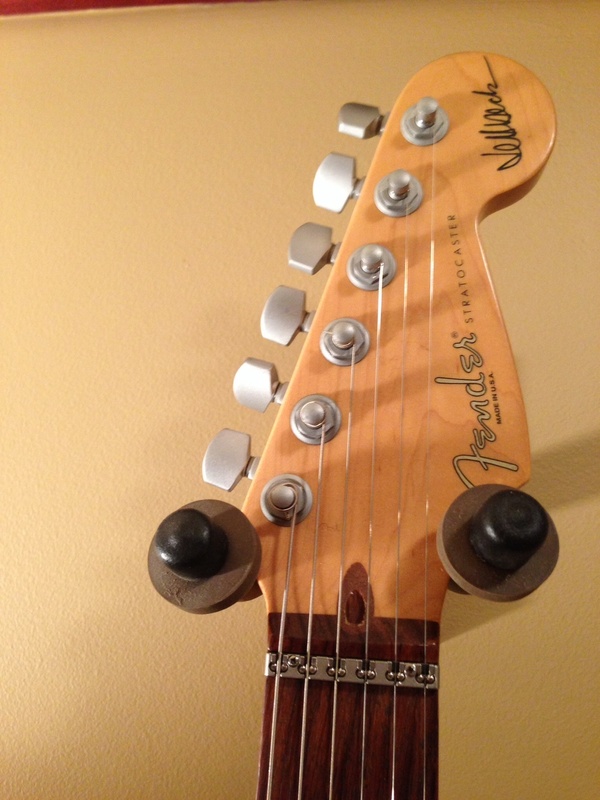 The ten year age difference shows the aging of the paint and the evolution of the model from a double coil switchable lace sensor in the lead position to all Fender Noiseless single coils. The necks are “Wide/Fats” and both play and sound like a dream. Here’s one I’d love to own. Another sweet guitar from the collection of student and friend Jerry Maizlish. “See thru” off white Blonde ’93 Strat Plus Deluxe with red, black and gold Lace Sensor pickups. Drop-Dead minty condition. One of the prettiest I’ve never owned! 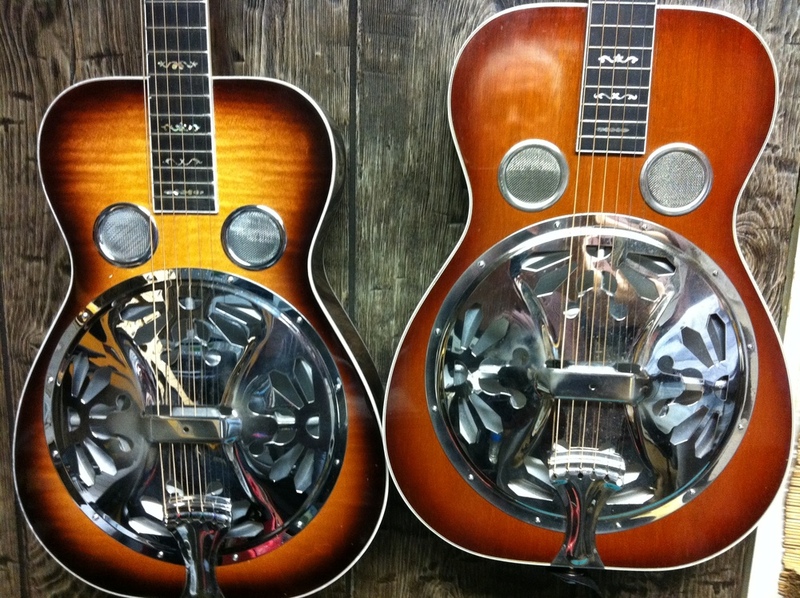 Two of Gibson’s Greatest… Not much more to say. Thanks again to my friend/student, Jerry Maizlish for the re-issue. I’ve always wanted to feature guitars from friends and family so here is a great example to start with! Very soon to be Brother-in-Law and guitarist extraordinaire Danny Weiss has traveled around the world with this great 1938 Martin D-28. As the guitarist and vocalist of Tony Trischka and Skyline, Silk City and Reckon So he has played this guitar as his main instrument for decades. Recently set up by luthier and well known banjoist Chris Warner at Campbell’s Music in York, PA, I got the great oppurtunity to play and photograph this fine guitar! 1982/62 Sienna Burst Fender Stratocaster – One that got away! In the mid 1980’s, between the end of a great band called WHEELS and the start of a bigger group RECKLESS, I decided to part with two vintage HIWATT 4/12 cabinets and this very heavy, but sweet sounding, Fender Stratocaster. I know it was a bad move now but good friend and long time student Jeff Keller has taken great care of everything and I can visit them whenever I want. Thanks Jeff! 1990’s TTT Tut Taylor Tennessean (mahogany top) with 1930’s Regal (black) both courtesy of friend and student Lou Sachs. My 1990’s TTV Tut Taylor Virginian (maple top) and my re-chromed 1930’s National.